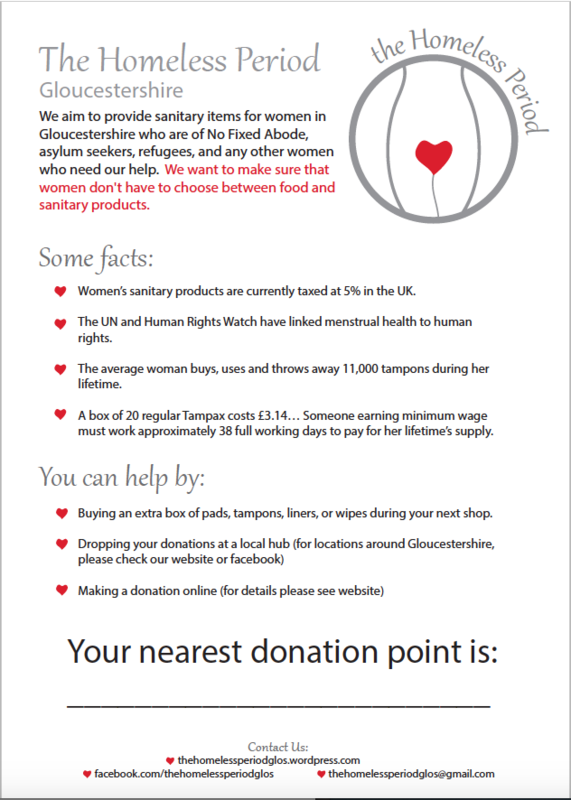 The Homeless Period Gloucestershire seek to provide homeless women with the kit they need when they have their period. Its not a glamorous cause but its an important one. They wanted a logo and some posters to put up to ask for donations.